Any kind of personal injury can be devastating, but brain injuries are particularly serious because they so often result in a dramatically reduced quality of life. When an individual suffers a brain injury, it impacts their entire family. Coping with the physical, emotional, and financial costs of a brain injury can devastate families, hurt relationships, and result in secondary health problems, such as depression. At Mesirow & Associates, PLLC, we help victims of brain injury accidents get the compensation they need to cover the costs of long-term medical bills, lost wages, the loss of future income, and other losses. No amount of money can turn back the clock, but financial compensation can help ease the burden of mounting medical bills and related expenses. In recent years, research has shed new light on the seriousness of brain injuries. Today, we understand that even a single concussion can result in what doctors call a “traumatic brain injury” or TBI. Although some concussions and other brain injuries resolve with time and rest, researchers are still learning about how the brain reacts to trauma. Recent studies of professional athletes have revealed that trauma can have a devastating and lasting effect on the brain. In the NFL, one report showed that more than 40 percent of retired players have abnormal brain structures. You don’t have to be an elite athlete to experience the catastrophic effects of a Washington DC brain injury lawyer. When an individual is involved in a severe car accident, for example, the brain can be violently jarred inside the skull. In some cases, an external object pierces the skull and enters the brain, resulting in a penetrating TBI. According to the National Institute of Neurological Disorders and Stroke, about half of patients with severe TBI must undergo surgery to repair bruised tissue and fix ruptured blood vessels. Long-term disabilities can include problems with cognition, difficulties with sensory processing, communication difficulties, personality changes, and mental illness. In the most tragic cases, a TBI victim is left in a persistent vegetative state. Symptoms vary by person, and research shows that brain injuries can affect people in dramatically different ways. If you suspect that you have suffered a TBI, your health depends on getting medical treatment right away. 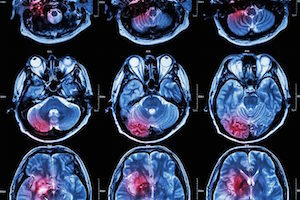 Although the initial damage caused by a TBI is irreversible, medical experts say that getting prompt medical care is the best way to improve a brain injury victim’s chances of regaining function and cognitive ability. The Washington DC brain injury lawyer at Mesirow & Associates, PLLC help people whose lives have been changed due to a traumatic brain injury. We also assist families who have been forced to cope with the aftermath of a loved one’s debilitating brain injury. Our lawyers are available to speak to you 24/7. Schedule your free consultation today. You can reach us through our online contact form, or by calling 866-463-0303.